Get ready to remove the negative blocks that are holding you back from acheiving all your wants and desires. 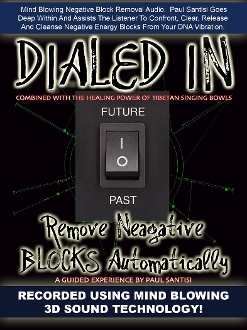 This audio is POWERFUl, so poweful it will move you in magical energetic ways. This audio goes deep within to confront, clear, release, cleanse and replace negative energy blocks from your DNA vibration. Combined with MIND BLOWING 3D sound and the Healing Power of Tibetan Singing Bowls. This is an experience that will change you in unlimited energetic positive ways. Wolrd class awakening is this! You will love how you feel after listening.